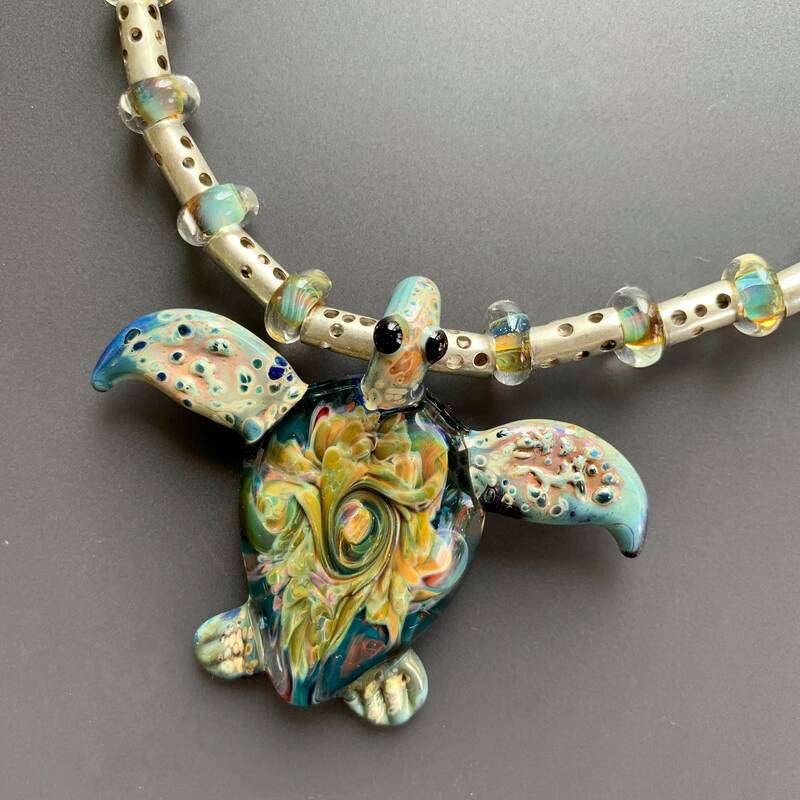 A stunning borosilicate glass sea turtle is the focal point of this one-of-a-kind statement necklace. Measuring 17 inches end to end, it features alternating stations of green and turquoise lampworked beads interspersed with contemporary holed sterling silver tube beads surrounding the matching sea turtle focal. The turtle itself is 2 inches long by over 2.5 inches wide flipper to flipper. I’ve finished off this beautiful piece with a sterling silver toggle clasp. Unique and very special.